Charleston, South Carolina, is a beautiful city any time of year. That’s why we keep getting named as the number one tourist destination in the country, and the world, and the best place to move, and the number one city in the world, and the nicest people in the country, yada yada yada. We wouldn’t keep getting all these distinctions if it weren’t true. If you’re one of the thousands of tourists heading to the Holy City, you’re going to want to post some pictures of your trip online (pics or it didn’t happen, am I right?). These are photos that the two of us have taken and posted to our accounts, so they are legit. 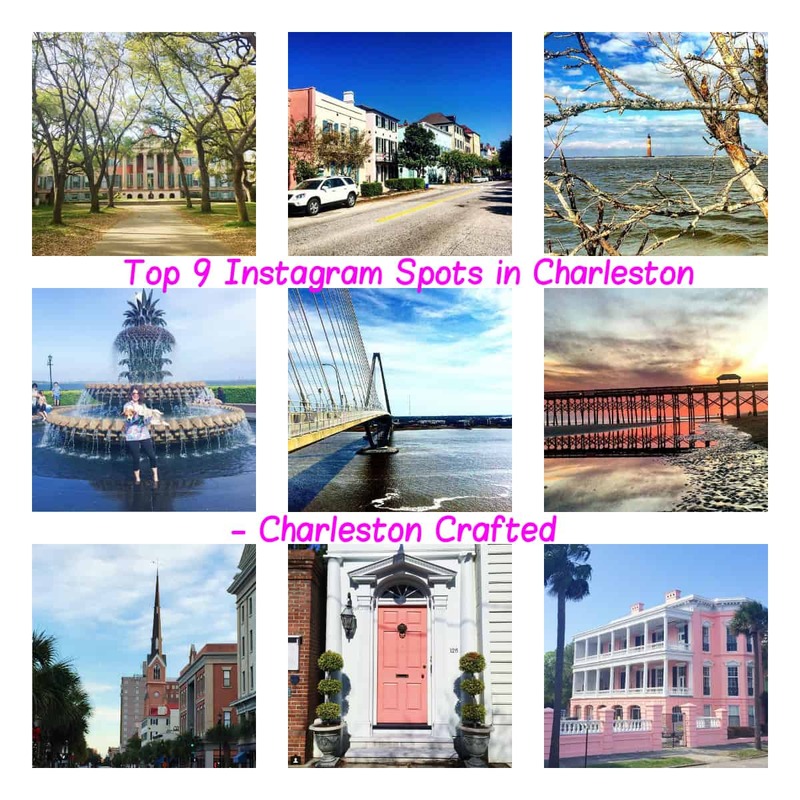 So, not in any order, here are the top 9 Instagram spots in Charleston. Pineapple Fountain- the Pineapple Fountain is located in Waterfront Park in downtown Charleston. The Pineapple Fountain is a great spot to capture a sunset, but make sure you get the obligatory “standing in the water with your hands in the air” shot. White Point Garden- this gorgeous park is located right at the Battery (some know it as Battery Park), which is a big curved corner of downtown on the water. From here you have sweeping views of the water, but the best pictures are in the park, especially looking down the middle with all the oak trees on either side and the gazebo in the middle. There’s also some pretty houses nearby. Had a gorgeous day to walk around downtown with my girls. Great weekend. My always & forever #HouseGoals. Pier at Folly Beach- head toward the sand and snag a picture of the Folly Beach Fishing Pier. The pier offers a bunch of really gorgeous angles, including facing out toward the water or catching the sunset between the beams. Cotton candy sunsets under the bridge. An evening walk on the beach to cap the weekend last night. Morris Island Lighthouse- while you’re down at Folly Beach, drive to the end and walk out to see the Morris Island Lighthouse. It’s isolated in the middle of the water now, but you can get great pics of it from the beach, especially one through all the driftwood trees lying around. You couldn't ask for a prettier March day. Ravenel Bridge- probably the most iconic structure in Charleston is the Ravenel Bridge. It spans the water between downtown and Mount Pleasant and offers beautiful photo ops from both on it and below it. Beautiful day in Charleston means it's a beautiful day to walk the bridge. It weirds me out when we have cold cold cold days then WARM! Can't plan properly. But today's a nice day. Rainbow Row- you can’t come to Charleston and not take a picture of Rainbow Row. The historically-painted pastel colored row homes are a tourist dream and offer a lot of color for your Insta. 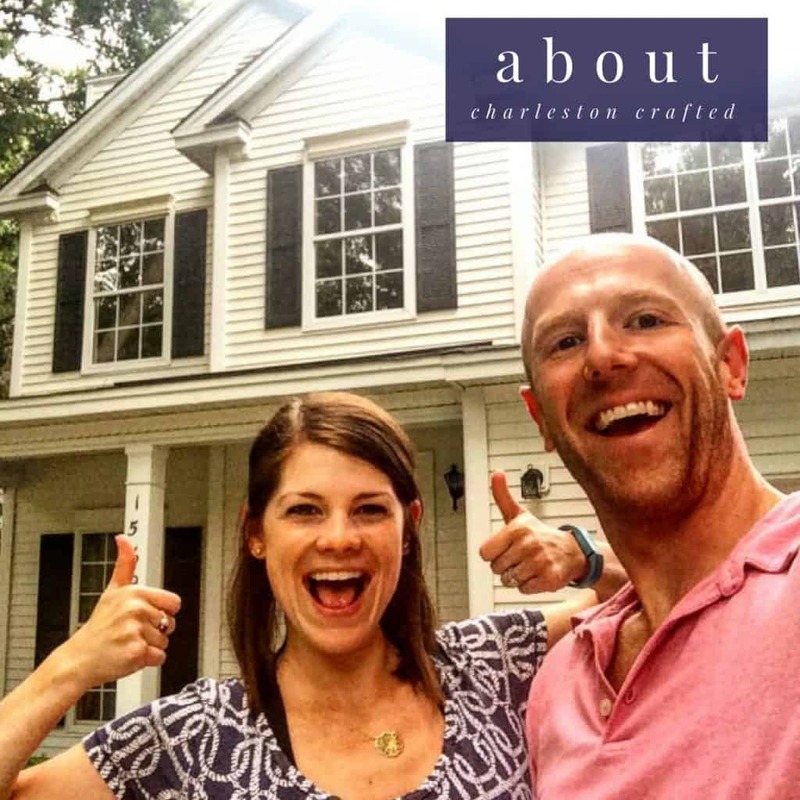 Historic doors- we did a whole gallery wall in our house of photos of historic doors in Charleston. There are colorful ones, wooden ones and iron ones anywhere you look on the downtown peninsula. Churches, Courtyards and Cemeteries- this one is a little bit of a cop out too, but that’s because there were too many to choose from. Walk down any residential street from Battery Park and you’ll see tree covered courtyards, tall church spires or old cemeteries that are great for black and white Instas. College of Charleston- CofC offers lots of historic buildings with moss hanging from the oaks, or the Cistern, or iron gates. Walk through College of Charleston while you’re doing your shopping on King Street and dream of the college you will wish you had went to. Charleston is filled with many many many more gorgeous Instagram-worthy spots, but take it from a local that these are the ones to not leave town without. « My Favorite Source for Inexpensive Gallery Wall Art – Calendars!